The mayor of Orenburg Jury Meshcheryakov and Chairman of the committee of culture in the State Duma of the Russian Federation Grigory Ivlev gave their consent to construction of a new circus in the centre of Orenburg. 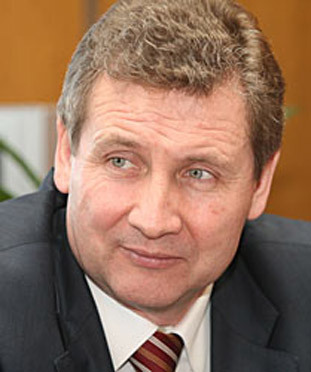 During his visit to Orenburg state circus Grigory Ivlev supported the offers of director-general of Russian state circus company Alexander Kalmykov about construction of a new circus complex on the territory of the park of railway workers. According to the director of Orenburg circus Evgeny Tereshchenko, the dynamics of the project is good, the consent was given to build a circus and a hotel in the historical centre of the city. On the basis of new architectural and designers’s decisions there was worked out a draft project. A new circus together with a hotel complex will be built according to up-to-date standards. Evgeny Tereshchenko also thanked Chairman of the committee of culture in the State Duma of the Russian Federation Grigory Ivlev for his support to the quick realization of the project. At present the existing circus in Orenburg successfully continues its work. On 24th July there will take place an opening night of a new programme “Megacircus” and afterwards there will be charitable events.